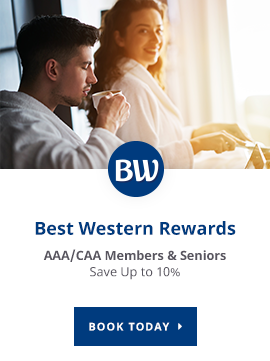 Check out our current hotel promotions and packages, and save on your next visit to Best Western Brantford Hotel & Conference Centre. A safari adventure that the whole family will love!family adventure, including a complimentary hot breakfast, with our African Lion Safari Overnight Getaway package. Entertainment Getaway Package at Best Western Brantford. Stay with Best Western while you enjoy the most spectacular live performances in Southern Ontario at the Sanderson Centre for the Performing Arts.